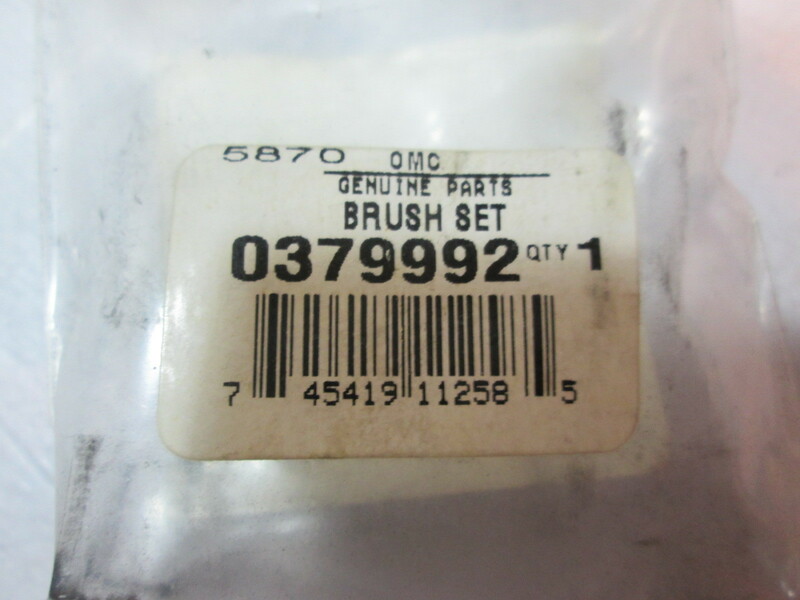 This is a sale for a new OEM Prestolite starter brush set for Evinrude and Johnson outboard motors. It is missing one brass strip. OMC/BRP part numbers are 0379992 and 379992. 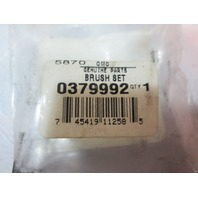 This brush kit should fit many Evinrude and Johnson outboards from 1968 to 1982. There are too many to list. 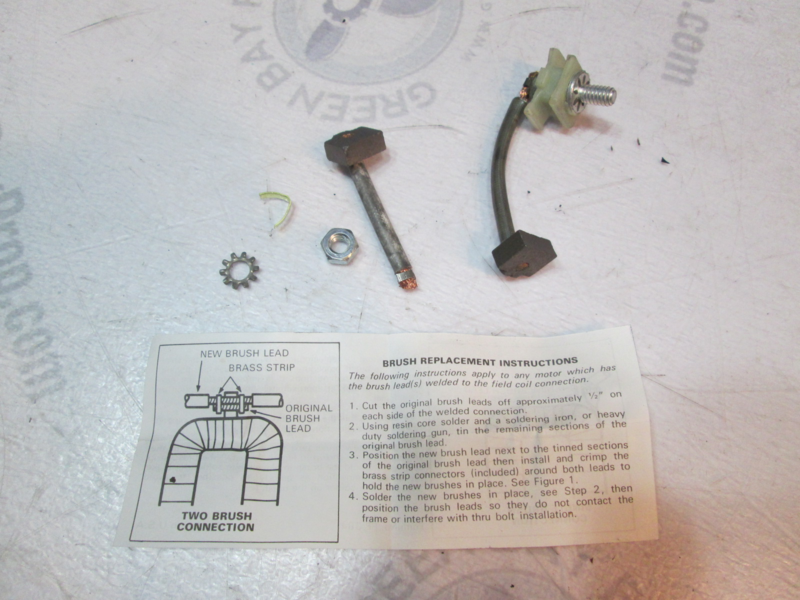 Please look up your part number or ask us. You are responsible for checking to see if this fits your application. 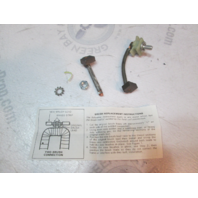 We will send you one brand new OEM NOS Evinrude and Johnson outboard Prestolite brush set.